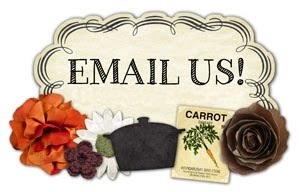 If you have subscribed to our newsletter or if you are a member of our website (you can log in) or if you have purchased on our website, there is a good chance you will receive emails from us. We will only send you emails which you have signed up to receive, or which pertain to the services we provided to you. To send you emails, we use the name and email address you provide us. Our site also logs the IP address you used when you signed up for the service to prevent abuse of the system. This website can send emails through the MadMimi sending service. This service allows us to track opens and clicks on our emails. We use this information to improve the content of our newsletters. No identifiable information is otherwise tracked outside this website except for the email address. 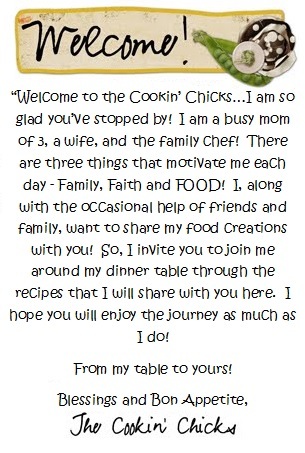 We also use third party advertisements on thecookinchicks.com to support the site. Some of these advertisers may use technology such as cookies and web beacons when they advertise on our site, which will also send these advertisers information including your IP address, your ISP , the browser you used to visit our site, and in some cases, whether you have Flash installed. This is generally used for geotargeting purposes (showing Seattle real estate ads to someone in Seattle, for example) or showing certain ads based on specific sites visited (such as showing cooking ads to someone who frequents cooking sites). We may allow third-party companies that use tracking technologies, such as cookies or pixels, to record IP information about users who visit or interact with our website. Our website does not provide any personal information to these third parties. This information allows them to deliver targeted advertisements and gauge their effectiveness.